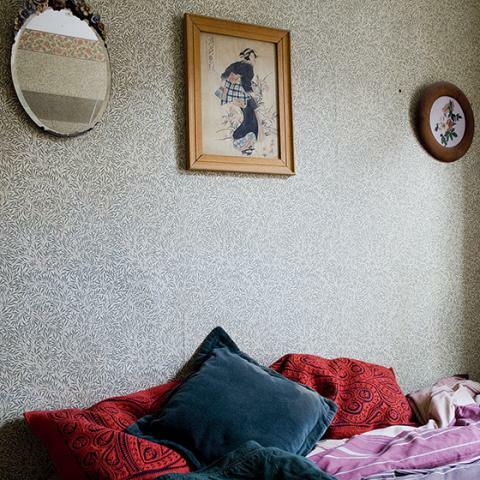 Check out "At Home with Morris", a new exhibition by photographer Katherine Green opening TONIGHT at Penny Fielding Gallery Interiors in London. On view until June 2nd. Image: "At Home with Morris (Cushions on bed)", 2007 by Katherine Green.